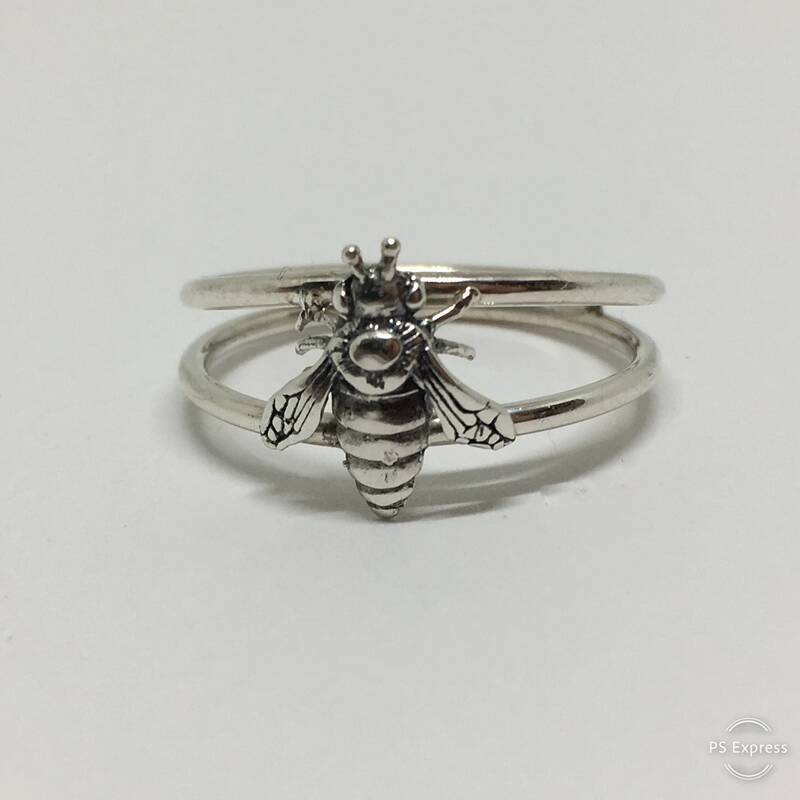 This is a Sterling silver Bee ring designed and built in our Ohio studio. 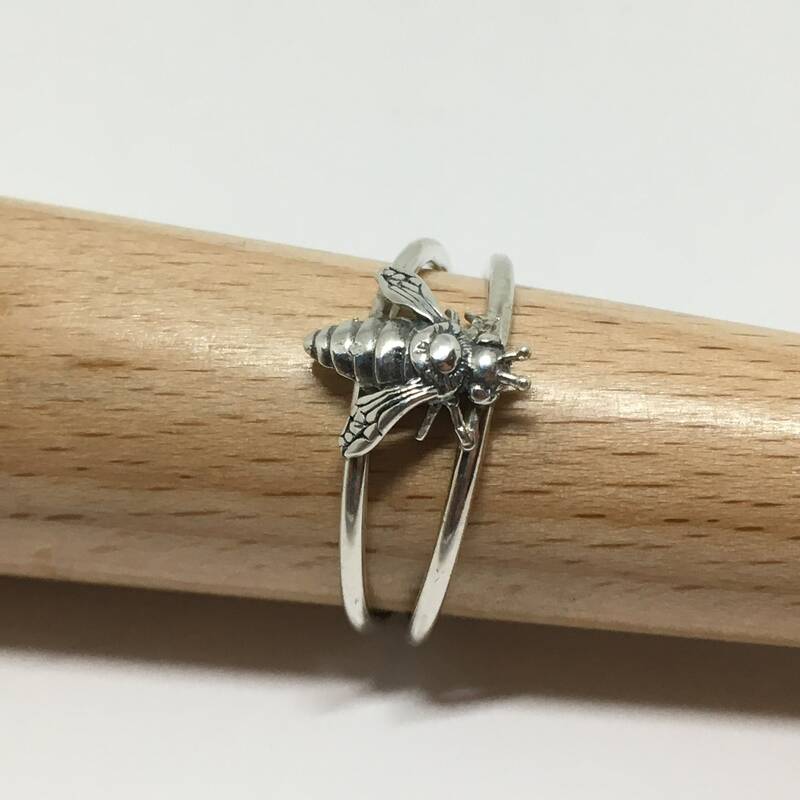 Made with a small 925 sterling silver Bee component and a double band made with sterling silver. 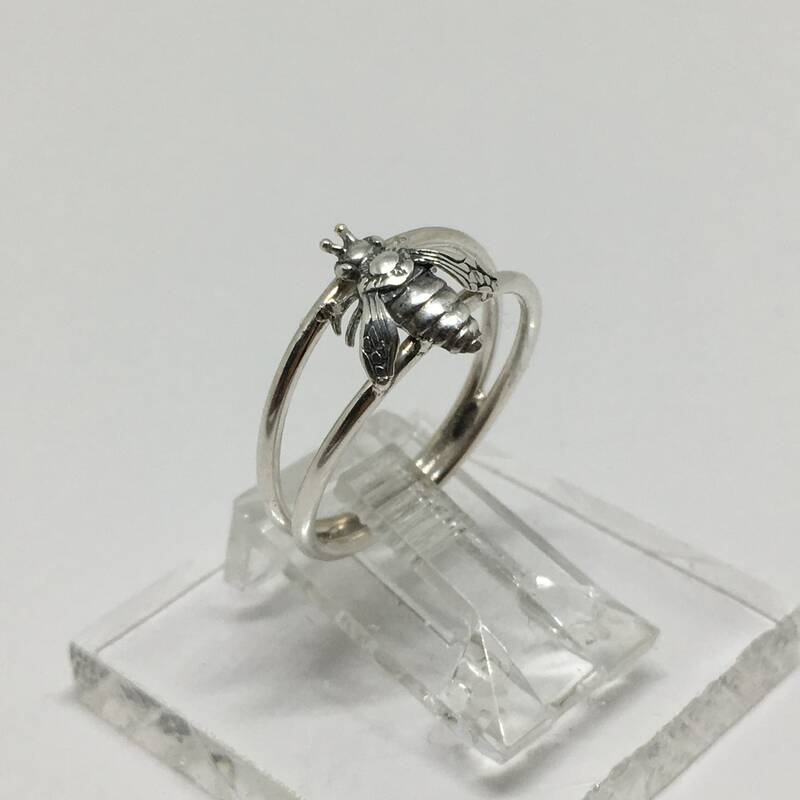 This ring is available in 1/2 sizes from 5 to 11. We do not mass produce these rings. Each ring is made one at a time, for each order. We listen to our customers and based on your comments and suggestions, we have shortened and made a ball on the end of the antennae to minimize snagging on clothing. 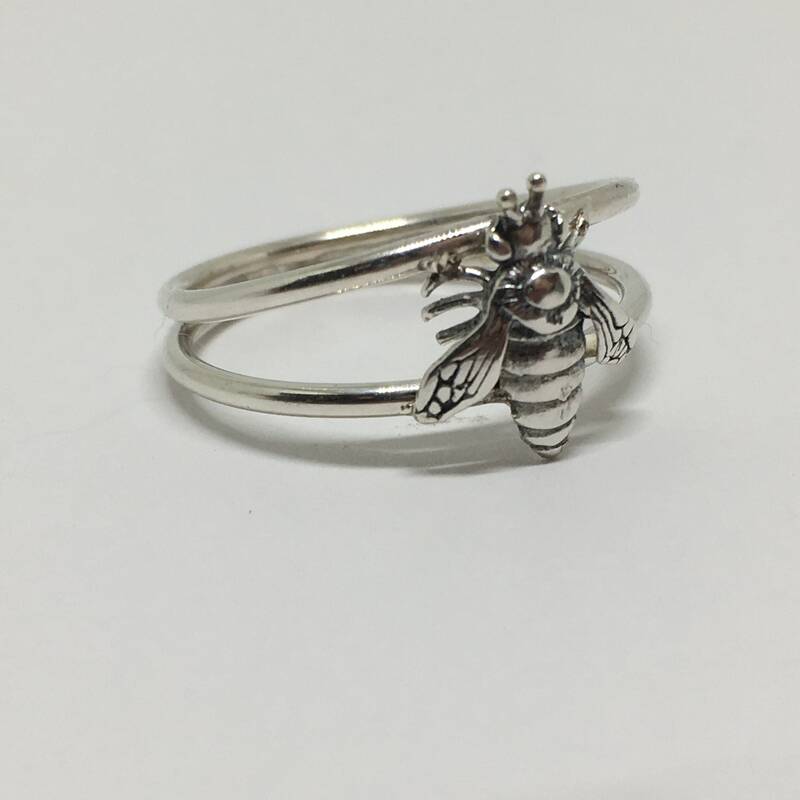 Makes a perfect gift for anyone that enjoys nature, loves Bees or just working in the garden.